Welcome to United Front Boot Camp: Positive, proactive and collaborative self-help for people with multiple personalities. Imagine a world where it didn’t really matter that you’re a multiple. You have people in your head, and they all get along. In spite of your diverse ideas, skills and interests, you share a common goal and vision about your collective life. You each go about pursuing the dream in your own style, with your own unique perspective and gifts, but you’re all steering your life in the same direction. That’s where I am. 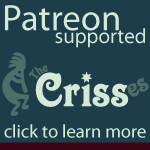 We are The Crisses, and I took almost 20 years of our shared life to get to that point. I don’t want it to take that long for you and your system, so I want to share my experience and self-help techniques with you. I want you to achieve a state of balance and joy. I want integration to be a true choice — rather than a necessity by default because you don't know of any alternatives. You can take less than a year to accomplish what psychology can’t even accomplish in 5: a sense of inner community and cherishing, collaboration, love — and for the tough guys a warm acceptance even if you keep insisting that you’re a cool cat or an untouchable. Sometimes it's hard to know where to start, so check out the steps below, and feel free to comment or email us with questions. In June (and maybe July) 2011, I'm blogging the Boot Camp steps. But this is where you can go to take everything one step at a time. Eventually I'll have a little quiz you can take to figure out which steps in the Boot Camp you really need, but this month I'm focusing on posting the steps. Not interested? Want something else? Not sure why you're here? Why don't you read the Manifesto? Are you in the field of psychology in any way, shape or form? Please see A special note for therapists. * If you want to be held accountable in this process, and don't have an accountability partner, you might opt for life coaching with The Crisses (Criss Ittermann) using United Front as the core curriculum. Email us and we'll have a conversation about it. What happens when a Multiple 'loses time'?